If you have a love of food, the feeling may not be mutual! It's been stated that upwards of 70-80% of the US population has a food allergy or intolerance. Are you having issues with foods bothering your stomach? Or maybe you aren't able to figure out what food is bothering you because so many cause a reaction? 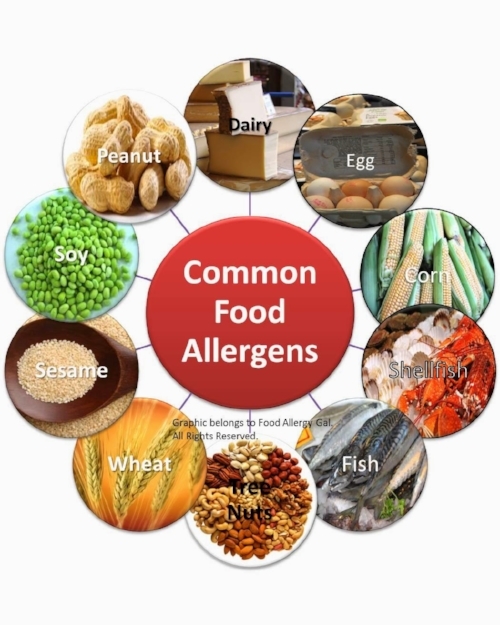 Food allergies and intolerances can cause poor digestion, stomach pain and cramping, intestinal toxemia, dysbiosis, chronic irritation to body tissues, aching joint and the list goes on. In other words, it sets up your body for harboring disease. Developing allergies and food sensitivities may not be a simple and straight forward as we once thought. Overgrowth of bacteria or yeast may be THE underlying factor. Extensive research shows that yeast overgrowth can weaken the immune system and open the door to food sensitivities, allergies, asthma and other seemingly unrelated health problems. I had a patient come in with multiple food allergies, unexplained rashes, tired all the time, not thinking clearly, joint stiffness… and the list goes on. She couldn’t tolerate even low fermenting foods and essentially eating chicken, rice and about 4-5 veggies or fruits. Everything else caused bloating, stomach pain, gurgling stomach, and headaches. You name it, she couldn’t eat it. She’d done food allergy tests in the past and EVERYTHING came back positive. She’d come in from another doctor with stacks of tests and totally frustrated because nothing had worked. She was feeling miserable and just not enjoying being in her body at all. I’ve seen many cases like this before and the key is re-balancing the whole body and lessen the inflammation in the gut specifically. I ran a both the Carroll Food intolerance and a panel looking for IgG allergens as well as an extensive panel looking at her gut flora. Boom! Right away I was able to see what was causing the problem. We worked together for around 4 months to lower inflammation, balance the flora and then began restoration so she could tolerate foods again. 4 months later, she was back to eating a normal anti-inflammatory based diet and over 85% of her symptoms were gone. Does this sound similar to what you are experiencing? Let’s see why someone would develop symptoms like this.. The balance of friendly bacteria in your digestive tract is disrupted by taking antibiotics even for a short time or eating a diet high in processed foods. Aggressive bacteria begin growing out of control, spewing their endotoxin everywhere and compromising your immune system which is heavily based in the digestive tract. The overgrowth actually compromises your intestinal barrier, which allows metabolic waste & toxins to spill into your bloodstream, triggering histamine rich allergic responses. This is why you may develop an allergy to some foods that were not formerly problematic. I’ve seen cases where thyroid issues, including hashimotos’s or even perimenopause symptoms clear when you focus on the gut. So it’s best to not assume all hormone issues require replacement of hormone, sometime you just need to focus on the source of the problem. I encourage my patients to look at the entire gut function and not limit their view to just food allergies. I've seen in many cases where folks just assume you can clear candida with just diet and that’s not true 100% of the time. When you don't treat the imbalance in gut flora, the allergenic response returns over time- even after food avoidance or elimination. I get quite a number of referrals of clients from other doctors who have overlooked this key fact. Let's talk about what's bothering you! As the only doctor in the east bay providing the Carroll Food Intolerance assessment, I offer this special food allergy/intolerance test for patients with chronic digestive disorders that just seem hard to treat. While food allergy testing is different from intolerance testing, both give a great deal of information about if foods contribute to inflammation in your body. In my office, the food assessment is done with a sample placed in a specific electric circuit and exposing the sample to various foods in contact with a reagent. Most people test intolerant to one of the 10 most common foods or food categories such as eggs, sugar, and potato. In addition, most people have a problem with one or more combinations of food, which are similarly not well tolerated. The most common food combinations are: grain and potato, grain with milk, and fruit with sugar. With each test, patients receive a comprehensive report outlining their individual food intolerance and their specific food combination. I usually get lots of questions about how to navigate making the change, but often times, once my patients stop consuming the main food intolerance, many annoying symptoms and diseases that impede quality of life go away. Currently, we are aware of several different kinds of reactivity to foods. Intolerances, not food allergy, has to do with digestion and metabolism, and is an enzymatic phenomenon, genetically determined. Food intolerance means that a particular body does not digest or metabolize a particular food well. As a consequence, maldigestion occurs, and toxic metabolites are formed in the intestine and absorbed into the blood. These will affect or interfere with normal function of the body, and become part of the basis of chronic illness. Dr. Otis G. Carroll is considered one of the most significant naturopathic physicians of this century. He practiced from 1917 - 1962, in Spokane, Washington. His clinic was the most famous west of the Mississippi. His clinic was a “Mecca” of healing, drawing people from all over the world. His work was based upon the European nature-cure approach, which favored a simple, vegetarian diet, hydrotherapy, homeopathy, and herbal medicine. With all of his success, he was unable to help his chronically ill son. This stimulated his continual search for better methods, which led him to the work of Stanford’s Dr. Abrams, a professor of physiology. Abrams had been experimenting with new techniques in diagnosis. Dr. Carroll modified Abrams’ work to devise a method of testing for foods which are not well digested or metabolized in a particular body, and thereby become a source of maldigestion, intestinal toxemia, dysboisis, and chronic irritation to body tissues. This naturopathic concept was not a part of standard medicine. Through this work, Carroll discovered that his son was intolerant to fruit, which he had always thought was a perfect and healing food for anyone. He removed fruit from his son’s diet, and for the first time his son recovered. I've tested many patients who have had SIGNIFICANT relief from chronic headaches and migraines, chronic diarrhea, intense abdominal cramping and bloating, decreased occurrence of asthma attacks, decreased constipation, muscle aching and pain, chronic nausea and much more all from running these simple tests. Again, think of how powerful this knowledge can be for improving your quality of life. I have many patients who prefer to have both ELISA IGG based food allergy testing and gut flora/diversity testing done. Both give a great deal of information and can be used together to paint the picture of which foods are making you sick. Contact me at 510-230-2282 if you'd like to book an appointment to get some much needed answers to your digestion concerns.